Is Now a Good Time to Become an Appraiser? The Bureau of Labor Statistics projects that job growth for appraisers between 2016–2026 will be 14%, which is faster than average for all occupations. Demand for property appraisers is linked to the real estate market, which can fluctuate in the short term. Over the long term, employment growth will be driven by economic expansion and population increases—factors that generate demand for property. So, is now a good time to become an appraiser? Keep reading to learn about job outlook and job opportunities for appraisers entering the field. Ready to become an appraiser? Find out if an appraisal career is right for you in our free guide. 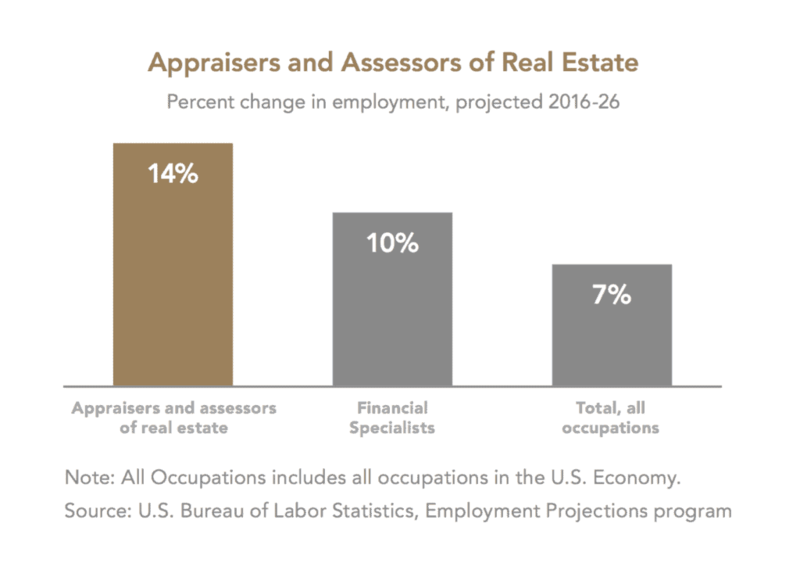 Within the next decade, employment for appraisers and assessors of real estate is predicted to rise by 14%. That growth rate is notably higher than the projected 10% job growth for financial specialists and 7% overall job growth in the U.S. economy. Technology has a tremendous effect on how efficiently and credibly appraisers can complete assignments, which is appealing to the next generation of appraisers. The tech trend will increase dramatically over the next few years, making “big data” more accessible to appraisers. The influx of mobile technology will also help appraisers complete assignments more efficiently. Almost half of practicing appraisers are 51–65 years old and nearing retirement. In recent years, as these veterans have retired, there haven’t been enough new appraisers to take their place. That has reduced the number of appraisal credentials by 3% per year for the past five years. The thinning of appraiser ranks, however, is sweet for newbies entering the field and experienced appraisers considering investing more time and money into upgrading their qualifications. The financial benefits of an appraisal career can be rewarding. Fees have begun to rebound after being stagnant or declining for several years. Those who embrace technology and data will have a significant opportunity awaiting them in a profession on the edge of a very exciting period. 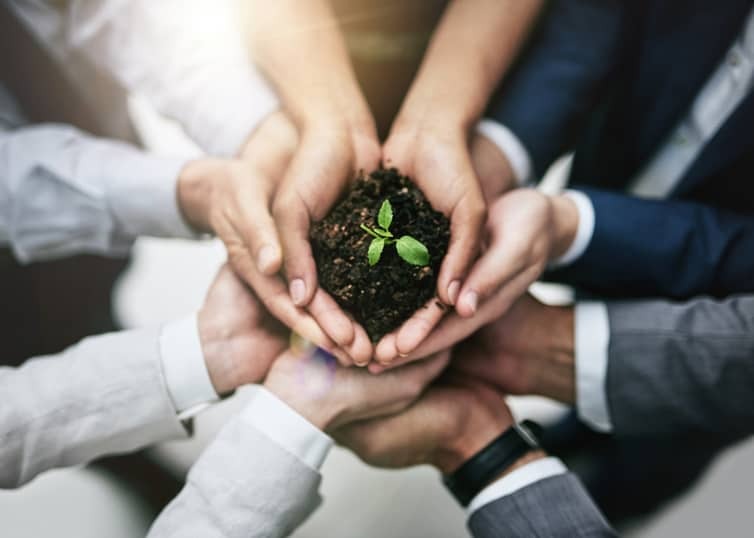 Income will also grow for appraisers who gain experience, upgrade license levels, and demonstrate expertise in certain markets and specialties. Ready to become an appraiser? Want to learn more about the appraisal profession, appraiser salary and income, and how to get started in the business? For additional insights into this promising career path, download our free career guide full of tips for launching your appraisal career. Or, visit McKissock.com/Appraisal to learn how to get licensed in your state. Q&A: What Is a Yellow Book Appraisal?